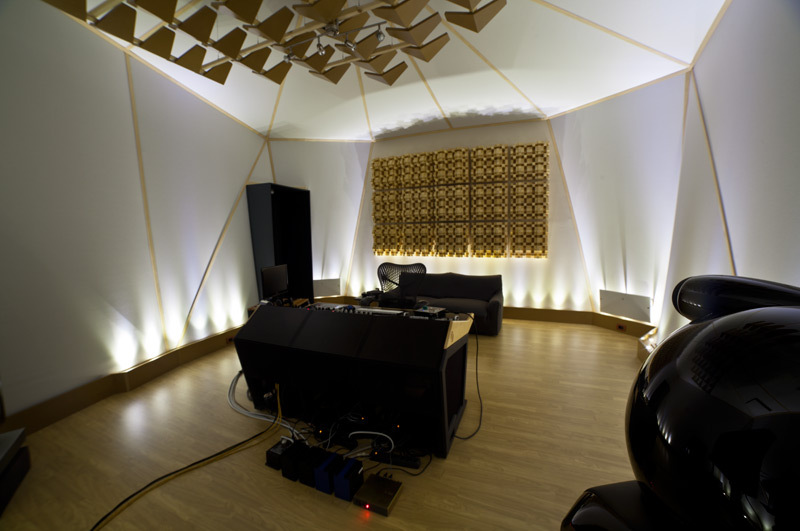 Total surface 51 mq plus Machine Room acoustically insulated, specifically designed for mastering purpose. 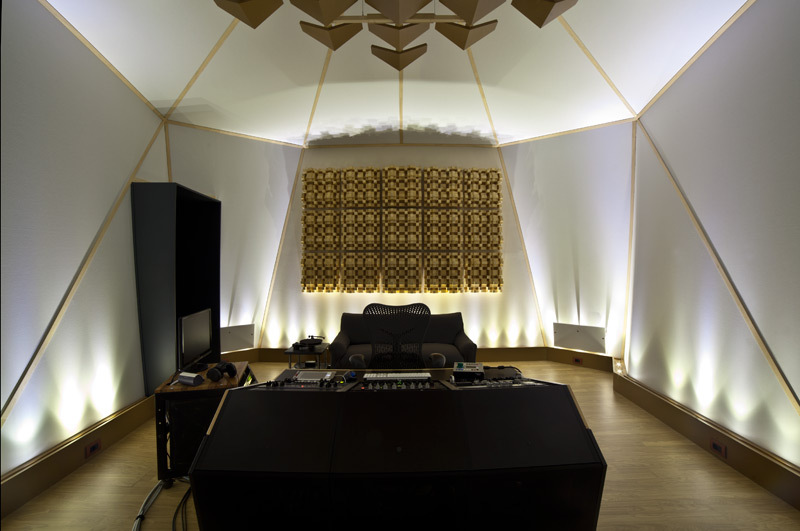 Flat frequency response reached with the combination of room dimensions, bass traps, resonators and sound diffusion/absorption, 22dBA background noise, full floating floor, backwall and ceiling sound diffusion. 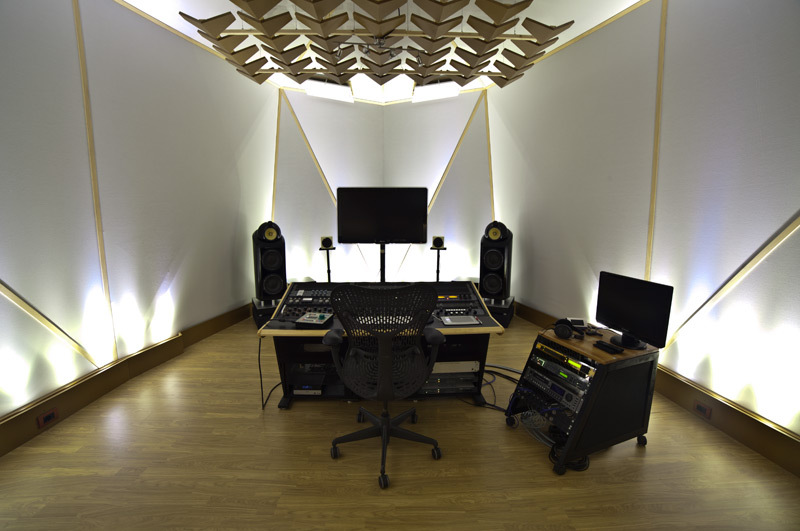 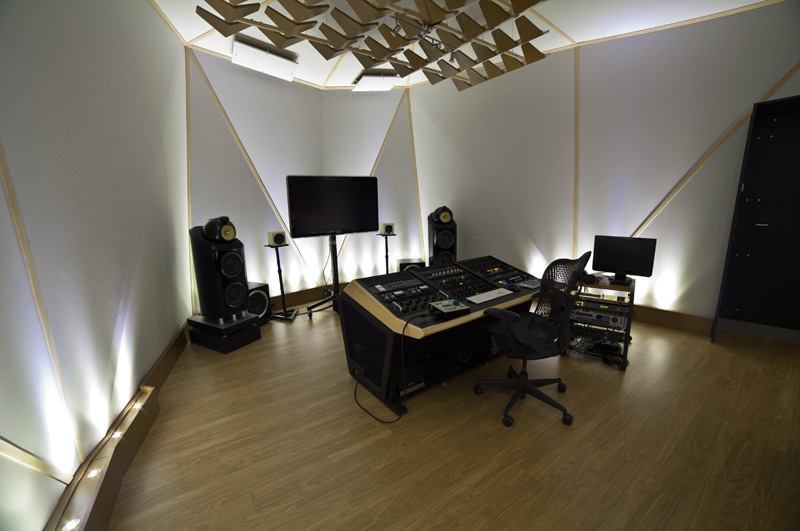 The combination of acoustic requirements with a sober and clear choice of materials gives to this working environment a unique character of simplicity and pureness perfect for high grade mastering processing.